This article was originally published on 8 November 2010, on Poskod’s Tumblr website. 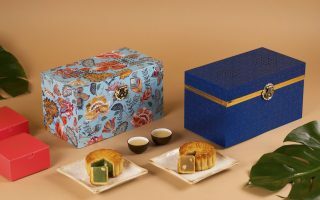 Welcome to VISUAL BASH, a column in which designer Norman Teh turns his critical, designerly eye on the visual culture of KL! 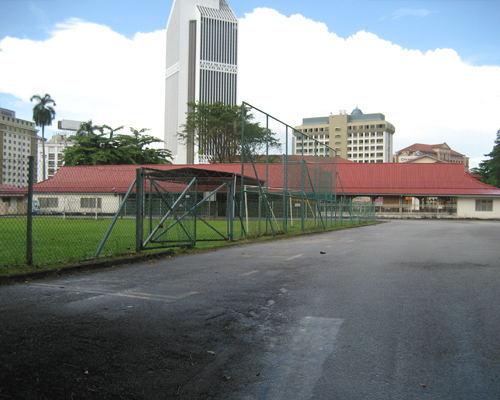 This time around: the planned Warisan Merdeka site! Malaysia has never been in short supply of architectural ambitions: grand schemes for new, intelligent cities; designer malls; the arenas and stadiums that played host to the Commonwealth games. The government has outdone itself with its new proposal: the Warisan Merdeka tower, an epic structure with 100 storeys and a RM5 billion price tag. The project promises to be a five-star green building, provide jobs — and a lot of disappointment for the rakyat. 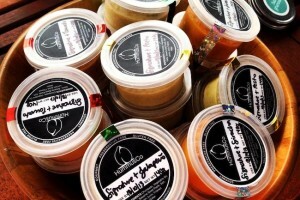 PNB will be responsible for mothering the project. The GLC has declared that it will have its new main office there; Warisan Merdeka will also host a shopping complex and condominiums once it opens in 2015. The public, perplexed about why we would need more malls or luxury residential areas, has responded disapprovingly — suggesting that the RM5 billion could instead be used for stuff like a better transportation system, more schools or improved roads. Disgruntled Malaysians have turned to social media: the 1 Million Malaysians Reject 100-Storey Megatower Facebook group current has 230,000+ (and growing) protestors opposing Warisan Merdeka; new comments are posted incessantly, like a Twitter feed on crack. 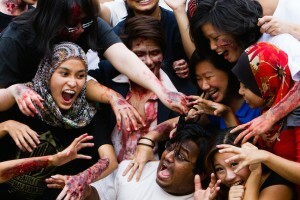 The issue has captured the Malaysian imagination. 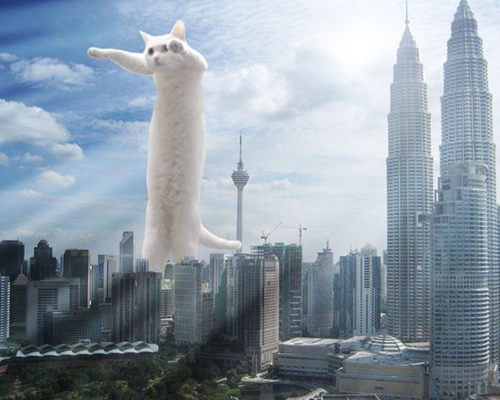 A spin-off Facebook group has poked fun at the tower idea, by arguing that they’d accept it if it were constructed in the form of a LOL cat (Longcat, to be precise)! Hearing the ruckus about Warisan Merdeka in the past month, I went to visit the neighborhood that the 100-storey skyscraper is set to inhabit, to get a better perspective. 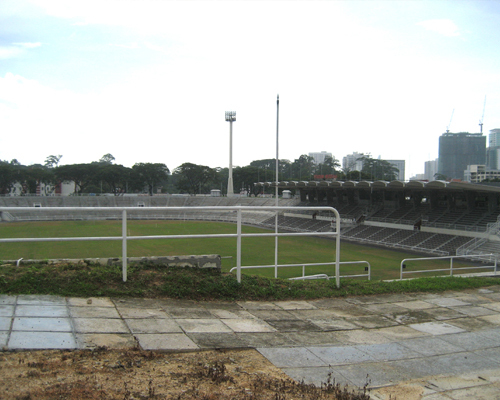 The project site encompasses both Stadium Merdeka and Stadium Negara; it neighbours places like the ancient Victoria Institute school, the Chin Woo Stadium, and the YWCA. PNB spokespersons and other self-important fellas argue that the megatower will increase the land value of the surroundings areas: the Golden Triangle, Petaling Street, and Pudu. I scoped the place out last Saturday morning. The neighbourhood exudes an endearing charm, tucked away from the bustling city with quiet roads and hillside trees. 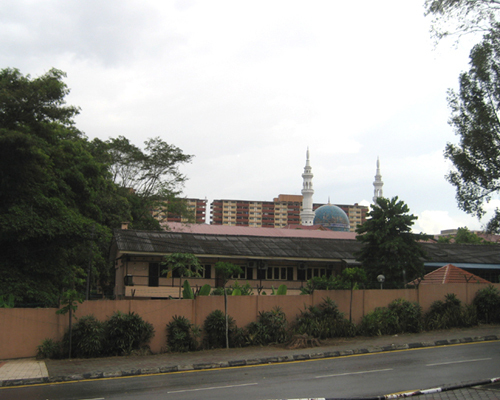 The profusion of greenery is lends serenity, and the surrounding aging architecture offers a historical depth that many places in KL lack today. 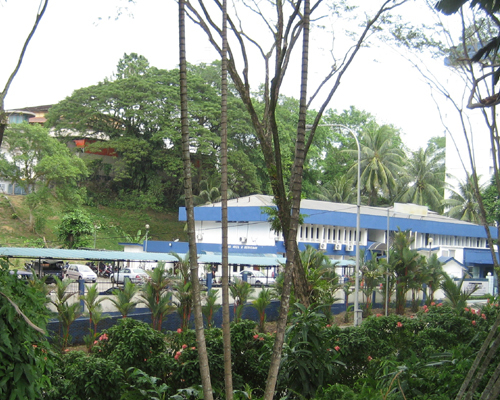 Stadium Negara, with its dome-like crown, sits atop a hill. As I walk to the entrance I see a lady and two elderly men playing cards and laughing. I gaze around: it’s a lovely view. The hill allows you to overlook parts of the Golden Triangle. 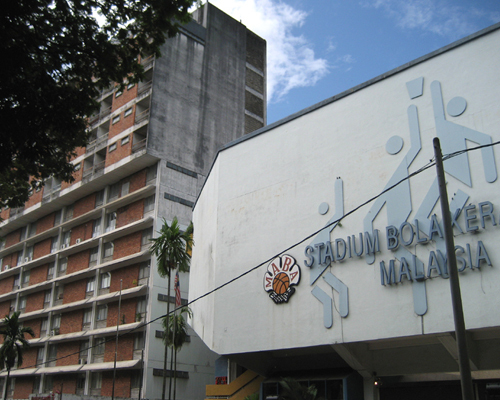 Stadium Merdeka, despite its age, still looks like it’s in good shape. There are some maintenance issues — cracks on the floor of the stands, eroded metallic fencing — but the grass seems healthy and well-managed. It had a nostalgic air: I could imagine it brewing with energy and people. It waits for purpose and prominence to shake its foundations, once again. But the idea of 100-storey megatower looming over it leaves me quiet and somewhat disturbed. There’s nothing there, besides a cemented expanse waiting for piling and other foundational work. Pity: I could see the massive plot of land being turned into a public park — an alternative recreational spot for people to go to, instead of feeding our dreadful mall culture. How would such a development affect residents in the surrounding neighbourhoods, on a social and psychological level? The increased traffic flow — in a place already proverbial for traffic jams, with Jalan Hang Tuah just down the street — will prove to be mentally challenging. Extensive construction work will have people who work, play, and study in the area worrying about dust, noise, floods, and dodging big machinery. How will the megatower gel with existing architecture? 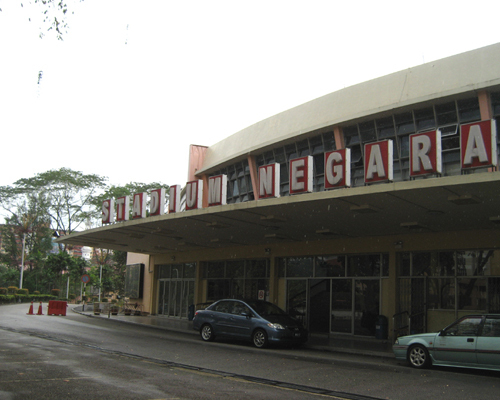 If PNB does leave Stadium Merdeka and Stadium Negara alone (they are gazetted heritage sites, though the corporation plans to “restore” them) will they make sure the 100-storey phallus is congruous with the bygone modest modernist ideals of the 1950s and 1960s? 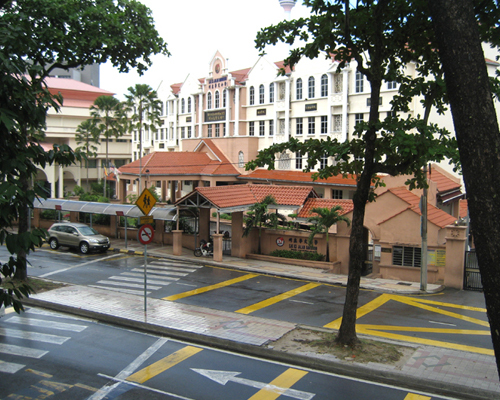 Also, what sort of carbon footprint would such a big — fully air-conditioned, etc — building like Warisan Merdeka have? How many trees will have to fall? 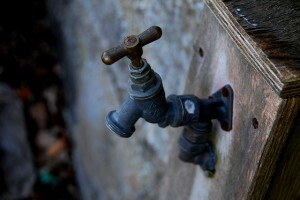 All that caused me to reflect about other development projects in KL. These are commercial, retail, or office spaces; they bring up similar concerns. We’ve spent millions on building office spaces — from Menara See Hoy Chuan on Jalan Tun Razak to Menara Perkeso on Jalan Ampang — that are now still largely vacant. Designer malls such as Avenue K and Capsquare are also left dormant. The PETRONAS Twin Towers took ages to achieve a respectable level of occupancy. These buildings are in central KL, with fantastic transportation access; they are stamped-and-approvedly faultless locations. But they fail to take off. That’s the biggest conundrum: can location and a 100-storey tower inspire an active community and prosperous business ventures? UPDATE: Residents and heritage associations have continued to lobby against the 118-storey mega tower since 2010. 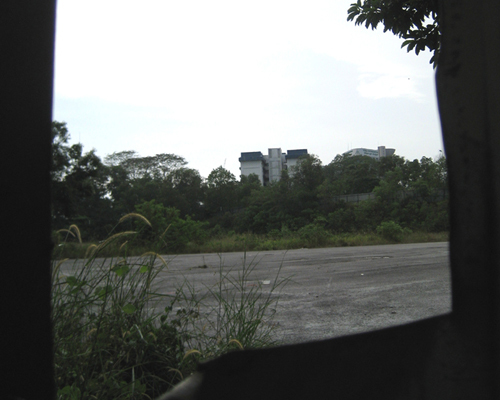 Kuala Lumpur City Council (DBKL) allowed landowners within 200 metres of the proposed site to voice complaints within a two week window. The deadline was 2 July 2013.